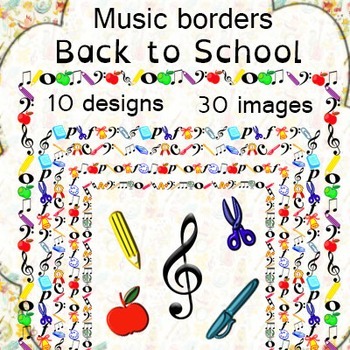 Music Borders: Back to School Theme. This is a set of music borders Back to School Theme. 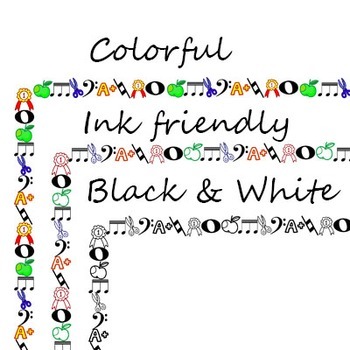 Use these borders around images, newsletters, or on other products, you make for your music lessons. ~10 black and white borders. Each border comes in 8.5x11 sizes to suit both portrait documents. They can be added to any document and resized/reshaped as needed. Music Borders: St. Patrick`s Day Theme.